On May 2nd, the Mystery Writers of America will hold the annual Edgar Awards banquet. Though we’ll have to wait for the banquet to learn the winners in the individual categories, some of the special Edgar Awards have already been announced. One of these is the Ellery Queen Award winner, Johnny Temple and Akashic Books, honored for the renowned City Noir Series. Over the years, the City Noir Series has become an important member of the mystery community, as well as a bridge to the larger world of fiction. With each new entry, we are treated to stories lurid, insightful, dark, sometimes funny, often harrowing, but always damn fine reads. In 2009, I had the privilege of contributing to Portland Noir, edited by Kevin Sampsell and including amazing writers like Ariel Gore, Jess Walter, Monica Drake and more. “Coffee, Black,” features Skin Kadash and takes a look at the dark side of Portland’s coffee culture. 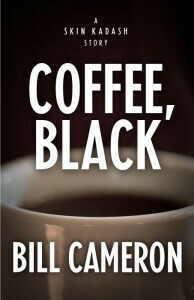 In celebration of Akashic’s well-deserved honor, I’m making “Coffee, Black” available at no charge. In the ZIP filed below, I’ve included the story in PDF, EPUB, and MOBI formats. I hope you enjoy it. I also encourage you to pick up a copy of Portland Noir, or any of the other entries in the City Noir Series. They’re all superb.